Synthetic: Soft, easy to care for, and durable. Mid-weight: For coldest temps, or people who get cold easily. Forget basic black; the Hot Chillys MTF4000 Print Baselayer Tight has vibrant prints that make staying warm fashionable and fun. The smooth, wide elastic waistband is figure flattering and the stretch fabric improves comfort and ease of movement. The MTF4000 Tights are great at managing moisture so you stay dry. They're also made with mid-weight fabric which provides lots of warmth. When the day is done, swap out your ski boots for stylish boots and these performance tights are city ready. "Are these intended as inner wear or outerwear? I bought a pair of thick black tights about twenty years ago which are hot chillys and I love them as outerwear but have not been able to find a similar pair since. As you can imagine they are getting a bit worn. " "These can be worn as both! You can use them as a baselayer underneath your ski wear as well by themselves when you're around town!" "Do the run true to size? I am wearing solid m ( or 8 )." "They do, but check out the size chart to see where you fall. A size 8 is for someone with a waist measurement of 28-29". It's not uncommon for people to size up, especially with baselayers as they are made to fit so close to the body." "Are these silky feeling? I need a pair that my fleece lined pants will slide over easily." "Thank you for your inquiry. Yes, the Hot Chillys MTF4000 Print Baselayer Tight are silky made of 100% polyester fabric. We hope this information helps! " 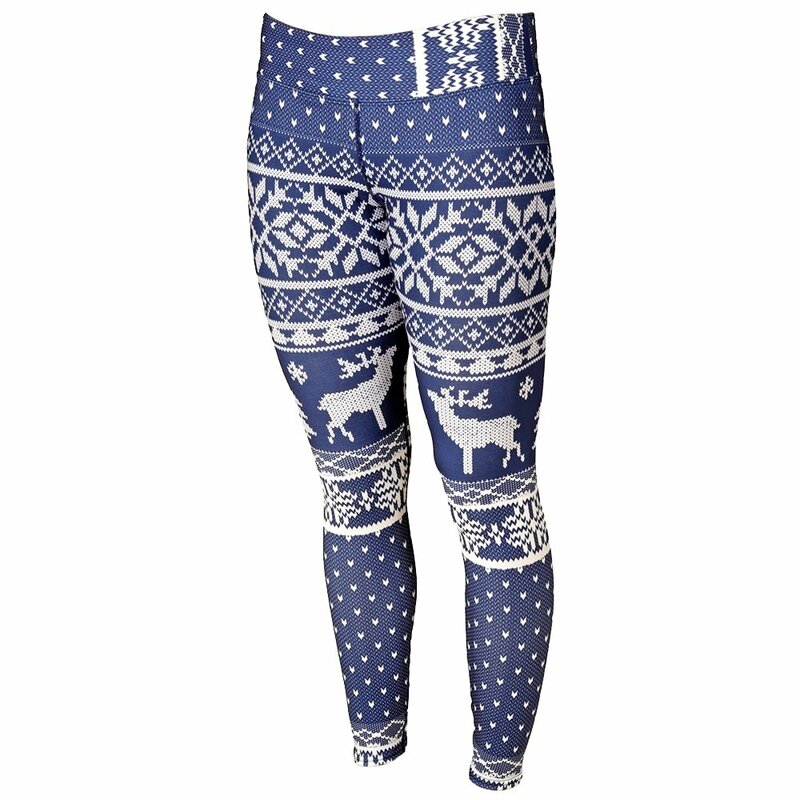 These leggings are very warm, cute, and comfortable. I wear them under ski pants. I bought this cute print when they went on sale because I already had the matching print shirt and earband. I wish I had more complete sets! They wash and dry easily without wrinkles or shrinking. Highly recommend this style/brand!! All day base layer ski -- very comfortable Hot Chillys. This Hot Chillys baselayer is warm and comfortable, not bulky. Runs slightly large. These Hot Chillys MTF4000 Print Baselayer Tights are very warm and very flattering. They fit great and are very warm. Great for base layer or just sleeping or lounging around in. I bought these Hot Chillys tights for my wife and she absolutely loves them. The pattern will bring lots of compliments your direction, so be prepared for total strangers to comment about your tights. My wife would have preferred if the tights came in an XS, but the smalls work. The thickness of these is solid for tights. I highly recommend these tights.